To put it mildly, it’s unusual for a rabbi to begin his Yom Kippur sermon by quoting the Christian Bible. The Torah, the High Holiday machzor, the Talmud, even the Big Book of Jewish Humor (which I’ve done). But Saint Paul? Really? Well, as we say at Hillel, we are distinctively Jewish and universally human. Chalk this up to the latter half. Northwestern adopted these words as its motto in 1890. Presumably the trustees wanted Northwestern to be dedicated to truth. Harvard’s motto was veritas, truth; Yale’s was lux et veritas, light and truth. Northwestern, like other universities, was and remains about learning truth, searching for truth, knowing truth, and living by truth. Of course we have a word for this in Hebrew, and it is emet. Emet in Hebrew is as powerful as truth is in English. The book of Deuteronomy refers to judges who “inquire, probe, and investigate thoroughly” (13:15) to arrive at truth. The Talmud goes further and determines that judges must actually perform seven separate inquiries to ascertain the truth in a case. They must check and check and check again. They must interrogate witnesses and check all the facts. They must be absolutely certain in their judgments. They must be true. So finding the truth can be hard work. Like a science experiment or an archaeological dig, the truth is there to be discovered, and it must be measured and investigated and probed before we can be certain. In this conception, truth stands outside us, and we must use our tools of historical and scientific inquiry to find and verify it. This morning’s e-Jewish Philanthropy features a post by Bob Goldfarb, president of the Center for Jewish Culture and Creativity. Goldfarb argues that culture–art, theater, music–needs to play a more central role in the Jewish Agency’s new agenda of identity-building, and that culture can, for instance, reinforce the emotional transformations that occur on Birthright trips. I agree with all of this, except for a key piece: Goldfarb seems to assume that education is a purely rational exercise, and that curriculum is its centerpiece. I have to imagine that he, like many others, thinks of good education much more broadly than this. Good Jewish education happens when learners are open to learning, and when good educators enable them to interpret their lives in the language of the Jewish people. It cannot be reduced to curriculum or programs, and it is certainly not a solely rational activity. Good educators know that good education integrates rational and emotional, cognitive and affective. Last week I co-chaired a conference entitled Toward a Third Space: A New Dimension in Jewish Education for Emerging Adults. Convened by Hillel and funded by the Jim Joseph Foundation, the conference brought together 130 leading educators, professionals and funders to reflect on and build a field around teaching Torah to emerging adults (defined by social psychologist Jeffrey Arnett as adults ages 18-30). The term ‘Third Space’ is borrowed from sociology, where it refers to physical places that are neither work nor home, but common spaces or ‘great good places.’ For our purposes, as elaborated by my conference co-chair Rabbi Dan Smokler, it refers to a conceptual space of learning Torah, one that is not wholly defined by either the supposed objectivity of the academy, nor the perceived dogmas of the yeshiva, but is rather animated by a different set of assumptions that are both intellectually honest and meaningful in individual, subjective terms. The lesson is simple: We often only gain a full appreciation of a text when we experience its meaning outside of our minds. And by the same token, text is a well of meaning to understand our lives. While the rabbi and the context were not necessarily an example of Third Space (which we assume is working with college-educated Jews who are shaped by the values of the university), it is a reminder that teaching Torah and making meaning are not purely cognitive exercises. Good education is transformational, a series of encounters between individual, community, text and context. Good educators–exemplified by many of the people at Third Space–make that transformation possible. In our teaching, text is dynamic: it lives in dialogue with art, music, theater; as my gifted colleague Rabbi Miriam Margles demonstrated so ably at the conference, and as illustrated in the rabbi’s story above, it is embodied. In the kind of teaching we do, the encounter of learner and Torah is not limited to the rational, but encompasses a fuller, richer range of human experience. That is one of the things that makes this kind of teaching–which is of course not limited to, but is particularly effective with, emerging adults–so important and so powerful. So I agree with Bob Goldfarb that the Jewish Agency, and the Jewish People, need to embrace all the modalities of human flourishing if we are to be successful in connecting younger Jews with the Jewish People. At the center of those modalities, however, is Torah–broadly defined, expertly taught. Our people is blessed with both its greatest treasure–Torah–and with a generation of educators who are finding new and fuller ways to help us individually and collectively engage with it. As we all work towards a future of greater engagement with Israel and the Jewish people, this kind of transformational education needs to be front and center. One of the glaring questions of Parshat Balak is this: Why do we read it at all? The story of Balak and Bilaam is unique in the Torah, in that the main characters–the Israelites–are completely passive, they are off-stage. Up until now, and from here on out, the story of the Torah is one in which the Israelites have destiny in their hands. Indeed, this has been the major thrust of the Book of Numbers, which reached its high point during the story of the spies: “We can take the land,” exhorts Caleb. A lack of faith leads the people to doubt their own abilities. But in this, as in all the other tests in the wilderness, the Israelites are free to make their choices. They are the center of attention. Not so in parshat Balak. “And Balak the son of Tzipor saw all that Israel had done to the Amorites.” From this opening moment of the parasha, the Israelites are somewhere in the background. Yet they are the main subjects of the story. It provokes an awkward sense of dislocation. So why does the Torah include it? I spent the earlier part of this week chairing a conference in New York on teaching Torah to emerging adults. We spent a lot of time talking about the transition to adulthood, and what happens during what the columnist David Brooks has called “the Odyssey years,” the years of exploration and testing commitments and identities. One of the markers of that transition is a remarkable double-move of recognition. As children, we gradually come to recognize that there are other people in the world, and we learn to pick up on their social cues, their needs and desires, in order to live together in harmony. We also come to realize that we have our own identities, separate from others. But what happens in adulthood–successful adulthood, anyway–is that a person comes to recognize how he or she is perceived by others. 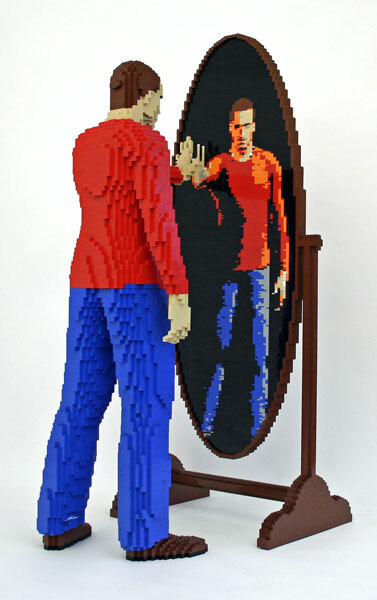 That is, we come to see ourselves as others see us. That doesn’t mean that we are what others see us as, but it means we can enter into their imagination and look back upon ourselves. It has always struck me that this is the purpose of the story of Balak and Bilaam. For Bilaam sees in the Israelites what they themselves seem incapable of seeing: “How goodly are your tents O Jacob, your dwelling places O Israel!” (Num. 24:5) Bilaam sees–in the deepest prophetic meaning of the term–the goodness of the Israelites. He sees their potential. He sees what they could become. And yet, the Israelites themselves seem incapable of seeing themselves that way. Immediately upon the conclusion of the story of Bilaam, “the people began to lust after the daughters of Moab.” (Num. 25:1) The term here is liznot, the same word used during the sin of the spies, the same action that our wearing of tzitzit are supposed to guard against. The tzitzit serve the same purpose as Bilaam’s words that we read this week: to remind us of a vision of ourselves, of what we could be and what we are called to be. The story of Bilaam is therefore a reminder of the necessity of hearing voices outside ourselves who can stand beyond our own myopia and remind us of who we can be, if only we will remember. I study with a number of students in a variety of settings: one-on-one, in small groups, formally and informally. Today I had my weekly meeting with one such student. We’ve been studying Mishnah together this year, and we’ve studied other texts before. But today’s meeting illustrated how you never know when and were a deep conversation might happen. We started to unpack this last phrase, going into the halakhic principle of tadir v’eino tadir tadir kodem: When one has a regular activity and a special one, one does the regular one first. Since we always say the second paragraph, but we only say the third paragraph at night, we do the second one first. Or, since we put on our tallit, our prayer shawl, every day, but we only put on our tefillin on weekdays, we put on the tallit first. From here the discussion opened up into a conversation about prayer, and the tension within Jewish prayer of spontenaity and liturgy. On Friday nights, my student said, he often feels nothing as he sits through the Shabbat prayers. He either wants it to be much longer or much shorter–longer and lingering on one or two prayers and doing them really well, or shorter and thereby getting to the good company and conversation of dinner. What happens now, he said, is the worst of both worlds: you get to discharge your obligations, and you feel nothing whatsoever. Let it be one or the other. I responded by fast-forwarding two chapters in the Mishnah, to Rabbi Eliezer, who says that one who makes his prayer fixed and rote has failed to make his prayer a true outpouring of feeling, and to Rabbi Joshua, who states what one should pray if one is in a dangerous place or moment. I remarked that I thought the juxtaposition of these two remarks was instructive: taken together, they signal that prayer is supposed to be a bit dangerous, it should involve risk. The Mishnah following Rabbi Joshua further states that one who is unable to turn his body to face Jerusalem while praying should direct his heart towards the Holy of Holies. This would seem to be a further confirmation of the same idea: the Holy of Holies is the site of greatest ritual, precisely because it is the site of the greatest instability and power. Prayer is supposed to be an encounter between God, the individual and the community, all in that space. Yet my student wasn’t quite satisfied. “How do you do both at once–the ritual and the spontaneous? How do you do the Kantian and the Aristotelian? How do you find individual fulfillment and surrender to the law?” I think there are at least three approaches, I said. One is to try to live in the middle, in the tension. This is generally an attractive idea to idealistic folks in their twenties. It was certainly attractive to me at that stage of my life. It was the same kind of third way impulse that a lot of us admired in the Obama campaign. But of course we’ve seen that it’s a lot easier to say that than to do it. The center cannot truly hold in the long run. You can’t build an institution out of the unstable middle. To do so is to live a life forever betwixt and between. So you then have two other options. The first is to make your home inside traditional Judaism, and venture out into the world of secular life, but return home at the end of the day or the week. The second is to make your home in the secular world, and venture out into the world of traditional life, returning to your secular home when the day is done. Good, rich, ethical, and moral lives are possible according to both approaches. I don’t think it’s simply an issue of taste, though neither of the options is going to be right for everyone. It’s a real choice. Home looks different in each case. And what my student described in this conversation was nothing so much as the struggle to figure out where home is, what home looks like, who is in home, who or what can be a guest, and where do our journeys outside of home take us. As I have come to see from so many conversations with Jews in their twenties in recent years, those are really the questions that tug at their hearts, that keep them up at night. What I love most about my work is that I am privileged to have these conversations, to help these extraordinary people explore these questions, not just in reference to their own lives, but through the framework of Torah. This entire conversation happened because of a line about which paragraph of the Shema gets said first. How fantastic is that? Bo 5770: What is a child? He was right. I wasn’t the kind of person who noticed baby carriages all that much, or thought about young children when I was becoming an adult. They were kind of an abstraction to me. All that has changed now, of course, because I have my own kids. I like to think I’m good at playing with children, and I see babies and toddlers in the world much more than I did when I was younger. Of course, the plague of the firstborn is a plague affecting both children and adults, but even the adults are thought of in the context of their births–as children. And then we have the commandment of the seder, in which Moses emphasizes, “When your children say to you, What is this celebration to you? And you will say, This is the Passover offering to God, who passed over the house if the Israelites in Egypt when he slew the Egyptians and saved our homes.” (Ex. 12:27) This passage will become central to the seder experience until today, which revolves around a multigenerational telling of the Exodus story. We can ask some interesting questions about what it meant to be a child in the ancient world, and how the Torah understands children. An academic philosophical article entitled ‘What is a Child?’, by Tamar Shapiro (Ethics 109), analyzes what has happened to our idea of children in the modern period, particularly in Kant and Locke. We often get in our heads the idea that the trajectory from childhood to adulthood is a straight one, that we ‘lose our innocence,’ become physically mature, and enter the world of adulthood. But as Shapiro points out, and as current developmental theory maintains, it is not a straight line. It is not so easy to define who is a child and who is an adult, particularly given the reality of adults who do not have full mental or physical functioning–they are not children, and we therefore cannot define ‘child’ or ‘adult’ simply on the basis of physical or mental status. Or at least those definitions need to be understood as provisional. We put children front and center in the Seder evening, as the Four Children section of the Haggadah demonstrates, and which reminds us, We are all children–or we need to remember what it is to be children. That is, the world does not have to be as it is, it can be changed. 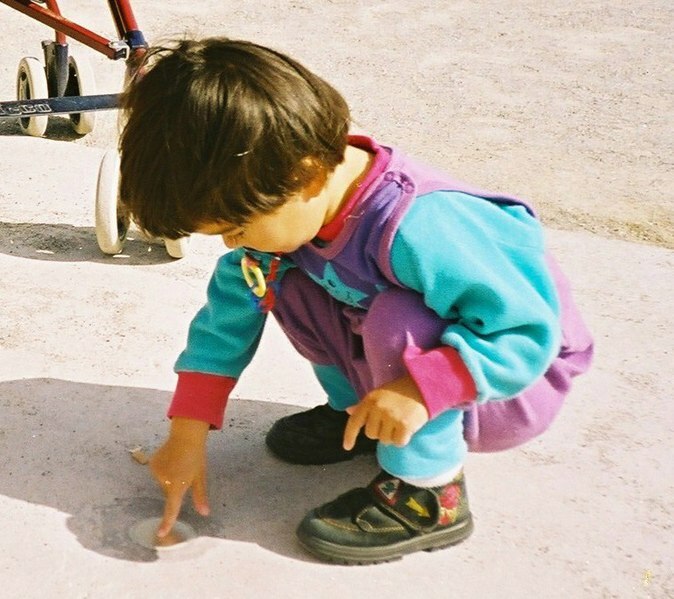 A child’s freedom of imagination and play is a threat to the hard stability of Pharaoh. The world can be different–even if you’re a slave, you can be free. I passed by this ad on the way to work today. 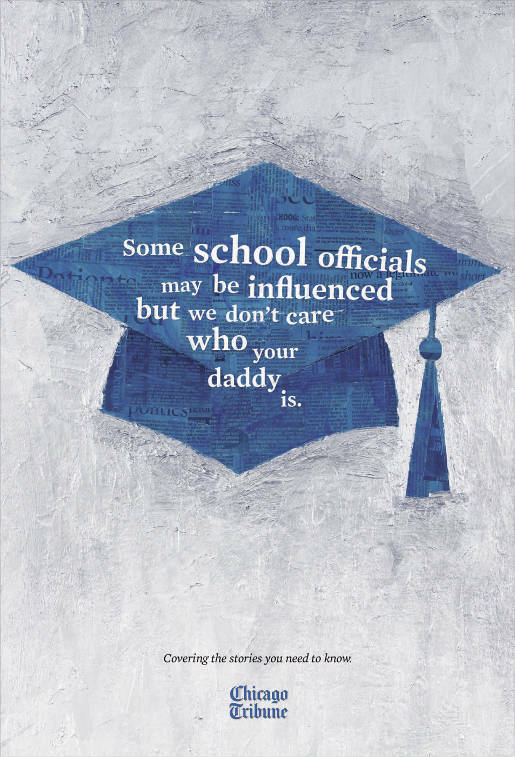 It took me a few moments to figure out what it was about, but then it came together: the ad is a reference to a scandal at the University of Illinois this year, in which trustees and high administrative officials pressured the admissions office to accept applicants from well-connected political families. The ad stuck with me as I continued on my way. Perhaps this was because I have spent a good deal of time over the last week writing a couple of papers examining the role that the thinking of Immanuel Kant has played in shaping American higher education. We’ll get to the link between Kant’s thought and this ad in a second, but I need to explain a little bit about what I’ve been wrestling with. Like other Enlightenment thinkers, Kant believed that man’s enemy was enslavement, that human beings yearned to be free. Freedom for Kant meant exercising one’s own will and reason, independent of any institutions or beliefs that might cloud one’s judgment. In this, Kant amplifies a central idea in Plato, who says that all education is really recollection: if we simply apply our clear reason, we can find the truth, which resides within our immortal soul. For Kant, religious institutions are frequently a form of enslavement. They keep individuals from thinking for themselves, and teach them to behave out of a slavish adherence to tradition. For many of Kant’s intellectual inheritors, it is not only religious institutions, but religious ideas themselves, that become a problem. If science can explain the world better than religion, then to maintain “religious” ideas about the creation or miracles or history is blind to the facts and ultimately slavish. Religious ideas, and not only organized religion, are problematic. All of this led to three fundamental postulates of secularism in the late nineteenth and early to mid-twentieth centuries: 1) Religion should be separate from the political apparatus of the state; 2) Religion had no place in political discussions; 3) Religion would ultimately decline and become irrelevant to most people’s lives. At this point, while most people in western democracies would agree on point 1, there would be considerable disagreement over point 2, and there would be near uniform rejection of point 3 (religion hasn’t gone away). This has led some to argue that we are living in a postsecular age. Now whether Kant himself would have argued for all three of these points is up for discussion, and more serious scholars of Kant and Enlightenment philosophy are welcome to weigh in. But one of the things that I think came about through the de-nuancing of Kant and Enlightenment philosophy was a cultural climate uncomfortable with notions of inherited identity, which are seen by (too) many to be yet another form of enslavement, keeping individuals from achieving their full uniqueness–which, after all, is the aim of life, right? That is to say, when I eat the matzah on Passover; when I circumcise my son on the eighth day after his birth; when I recite the Shema in the morning or recite the Maariv prayer at night, all out of a sense of obligation, I am not giving up my agency or my autonomy–I am, rather, fulfilling it. The assumption of the ad here is that it doesn’t matter who your daddy is. And while I believe that’s true, that each life is its own individual story, I also believe that it matters very much who your parents and grandparents were, what choices they made, what inheritance they left you, what stories they began for you. As the linking of the holidays of Passover and Shavuot teaches us, to be free does not mean only to throw off the yoke of enslavement–it also means embracing one’s story. For too long, our colleges and universities have been focused on only the first half, teaching critical thinking and untying the knots of previous identities. For too long, they have let slip the essential second step, weaving a coherent sense of identity in the wake of the unweaving. I believe we are starting to turn a corner, and to find a way that identity can be not only about freedom from, but also about commitment to; not only about rejection of the determinism of the past, but also about embracing the truth of the story it bears. The story of Jacob begins literally in his mother’s womb, as we read in Parshat Toldot. Rebecca has twins growing inside her, and the Torah deploys the colorful word vayitrotzatzu to describe their embrionic activity–a word that connotes running, racing, struggling, the work of governing competing emotions and desires. It has always struck me as significant that Jacob and Esau are twins. The way in which the Torah sets them up as a complementary (or diametrically opposed) pair, almost has a Fight Club – quality to it. These brothers could be, and in some mystical ways are, the same person. This image receives its greatest treatment in two places. The latter is Jacob’s wrestling with the angel, which we will read in two weeks during parshat Vayishlach. The first is from this week’s Torah portion, when Jacob dons the garb of his twin brother to fool his father into giving him his blessing. 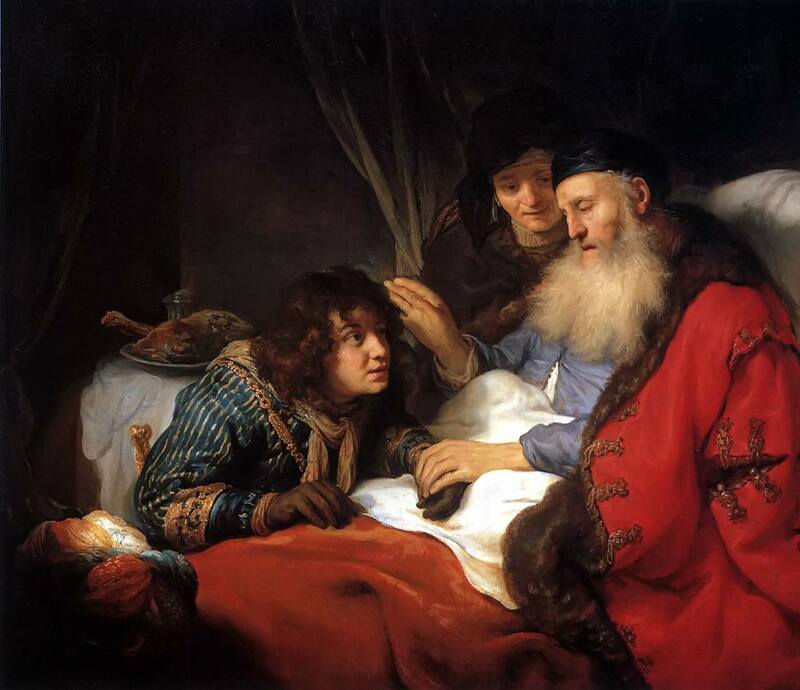 “Hakol kol Yaakov, v’hayadaim yedei Esav,” “The voice is the voice of Jacob, but the hands are the hands of Esau.” (Gen. 27:22) In the text itself, we sense the conflict within Jacob as he undertakes this mission. In verse 12 he openly asks his mother, What if my father touches me? I would appear to be tricking him, and bring a curse upon myself rather than a blessing. His mother reassures him, and he does her bidding. But the midrash adds on v. 14 that when he went to fetch the food and the skins to perform his deception, he did so with tears in his eyes. Jacob is fully aware of the manipulation–the abuse?–inherent within his actions. That is why he cries. That is why he hesitates. The Torah certainly does not want us to overlook these aspects of his behavior; if anything, it amplifies them for us to hear and learn from. The questions this episode raises are ones that are timeless, that continue to reverberate in our individual and communal lives: What does it mean to be who we come to know we are meant to be? What is the price of that life? Are we willing to pay it? These will be the haunting questions of Jacob, of Israel, during these weeks when we read his life and for the millennia that follow.